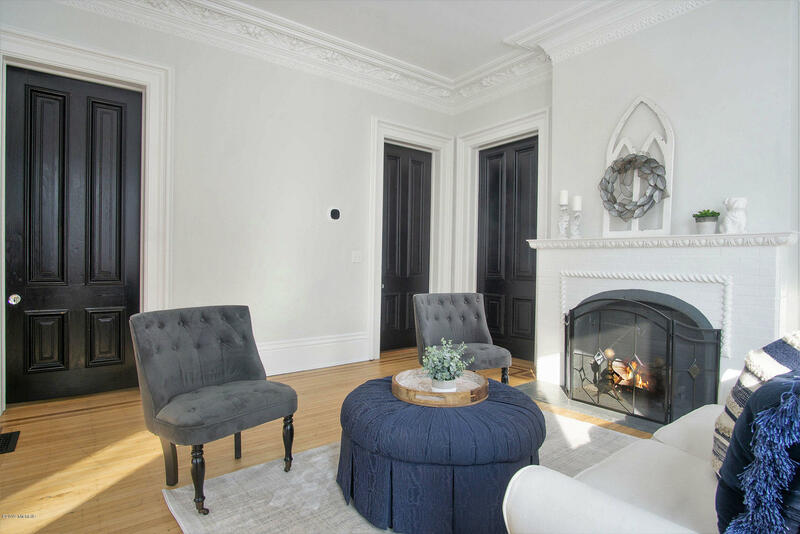 The Historic Sisson Mansion has been completely restored to its original charm and beauty by Bulldog Properties. 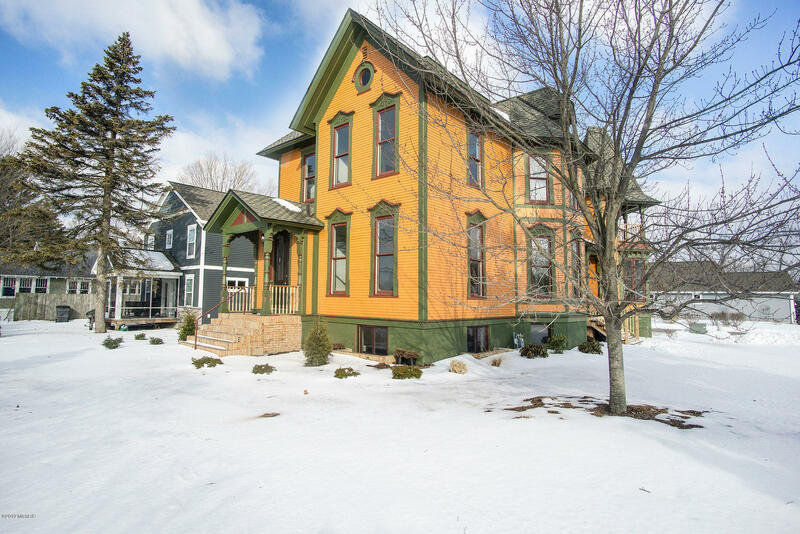 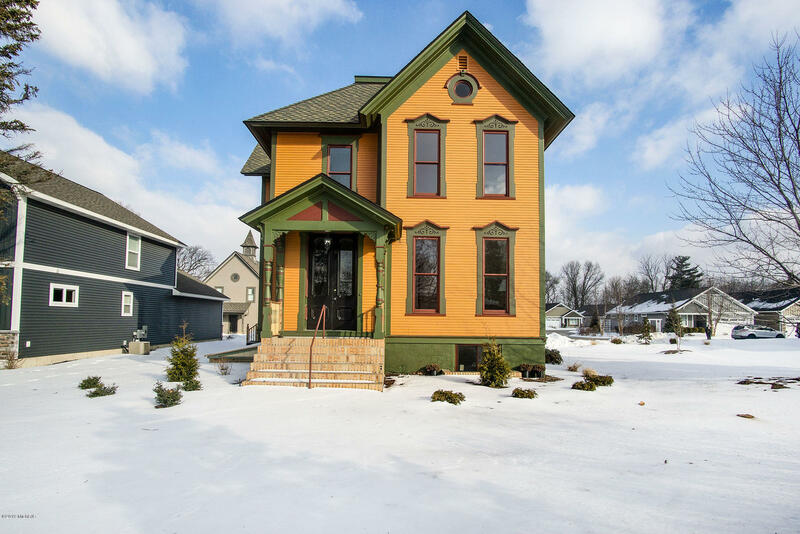 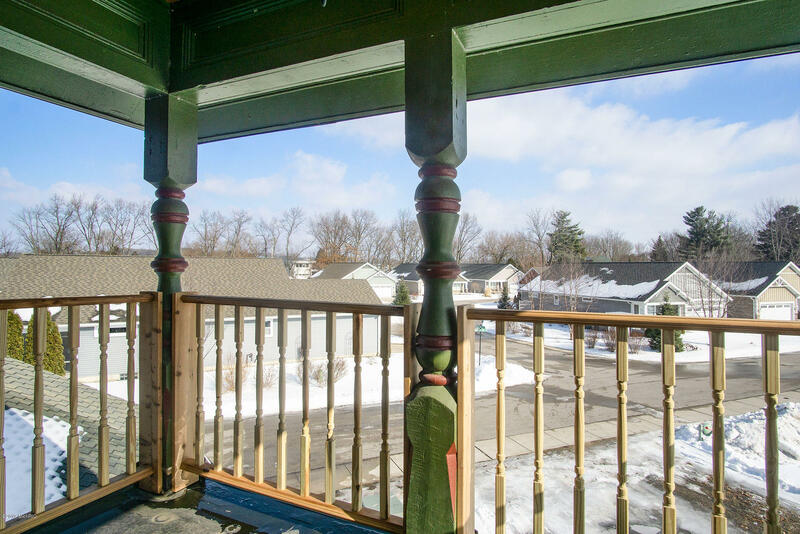 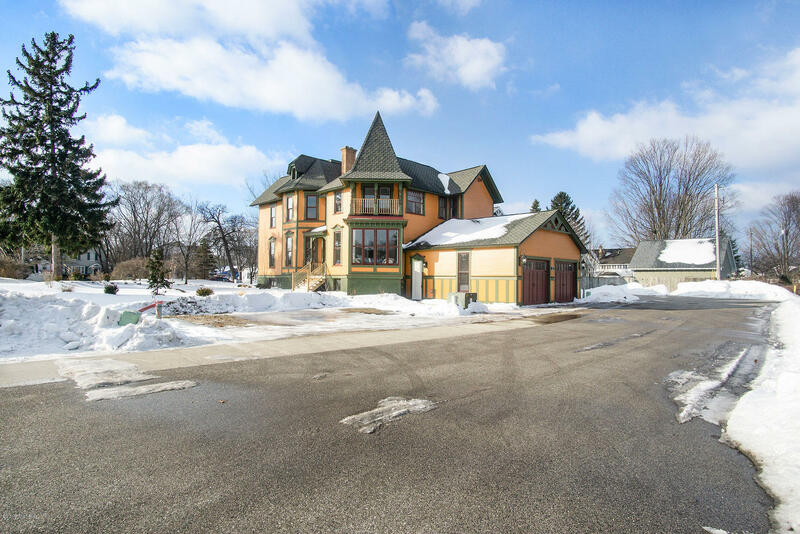 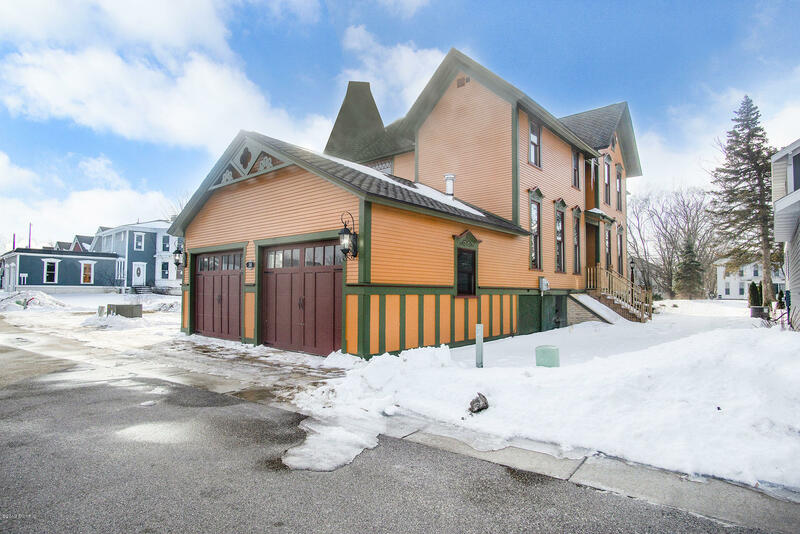 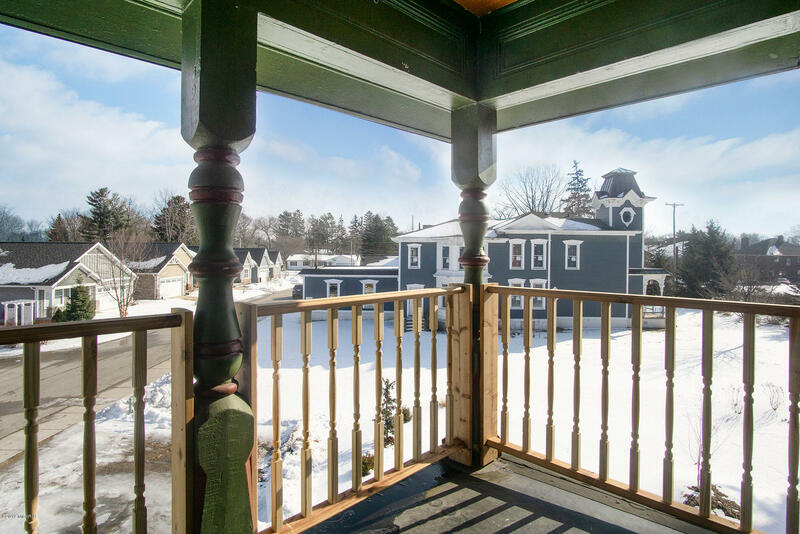 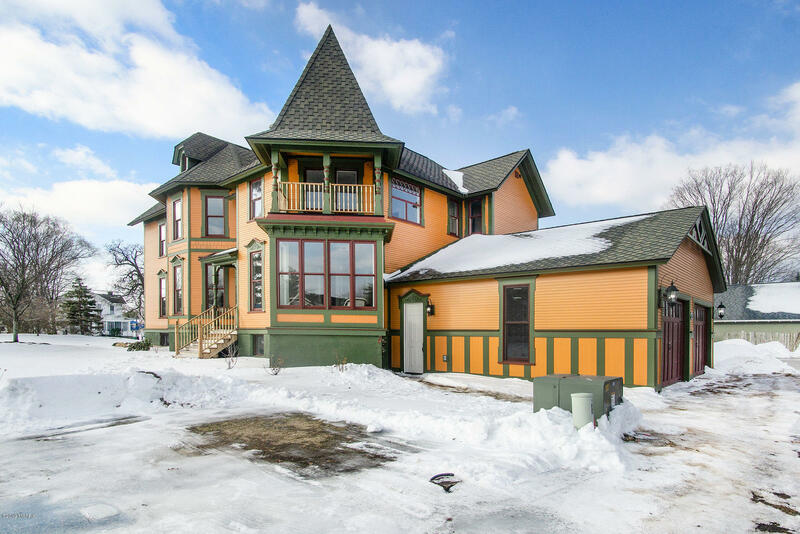 This over 5700 square foot vintage Victorian is the jewel of the Village of Spring Lake. 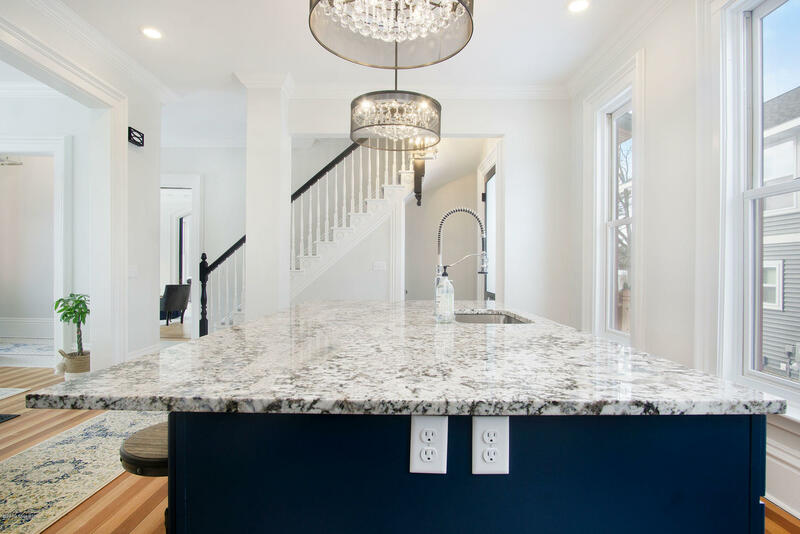 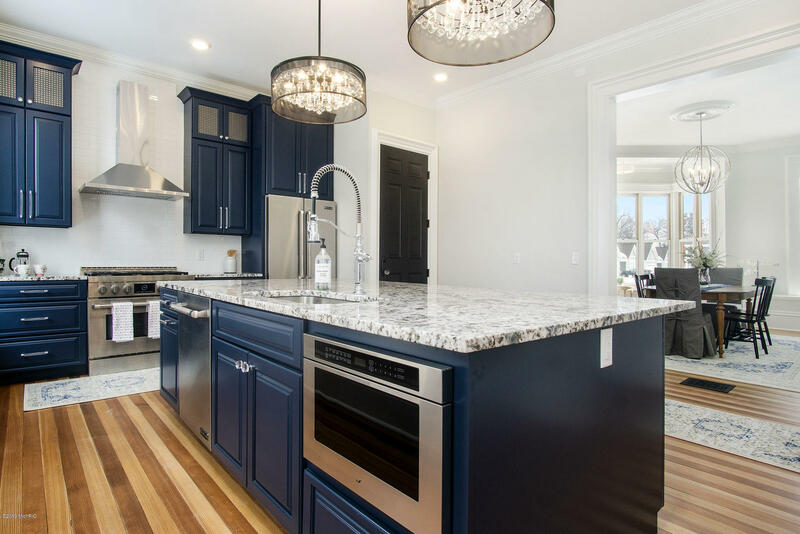 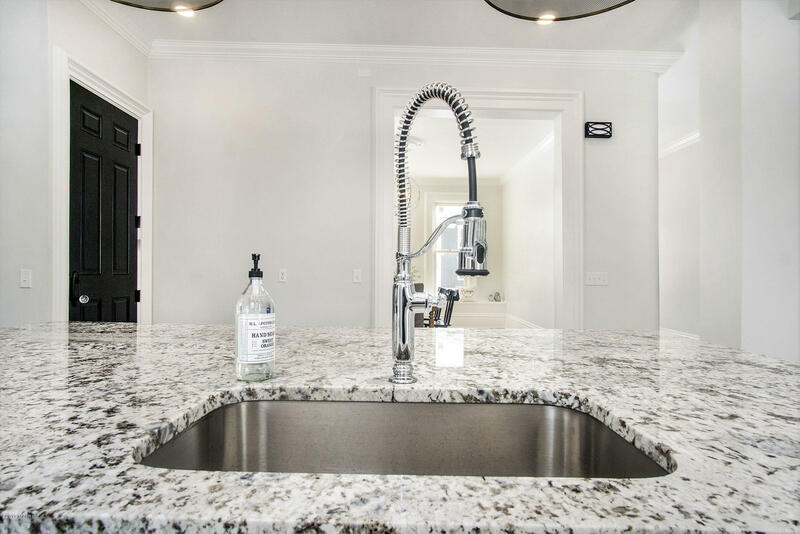 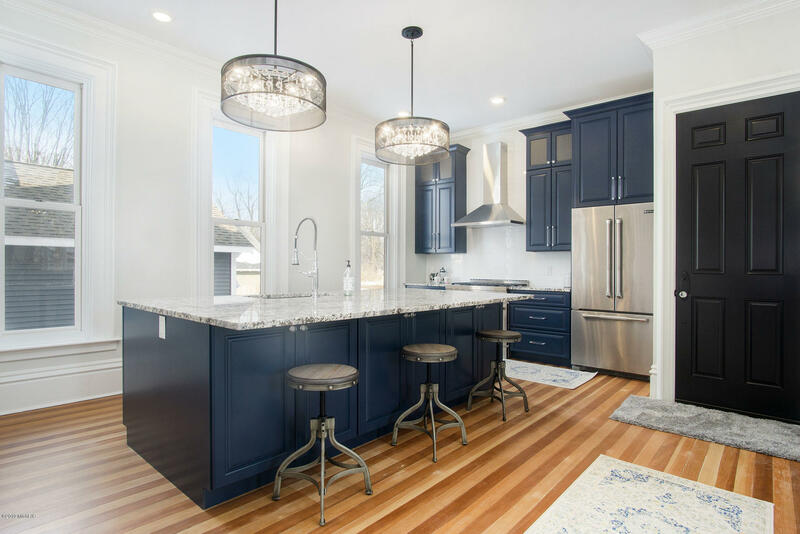 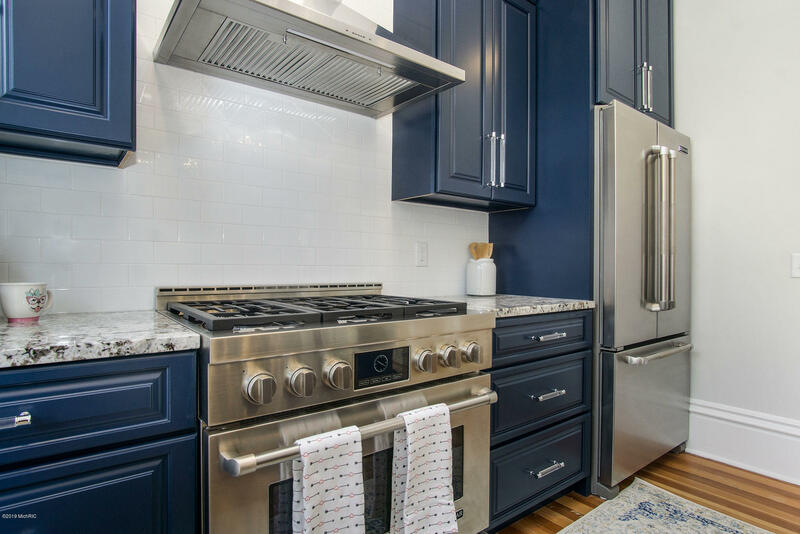 The main floor boasts a custom kitchen complete with solid surface serving island, beautiful cabinetry and high-end stainless steel appliances. 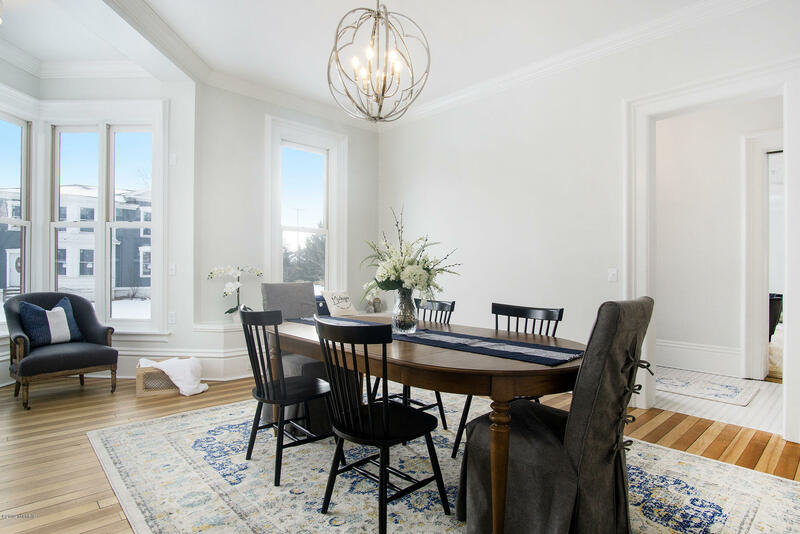 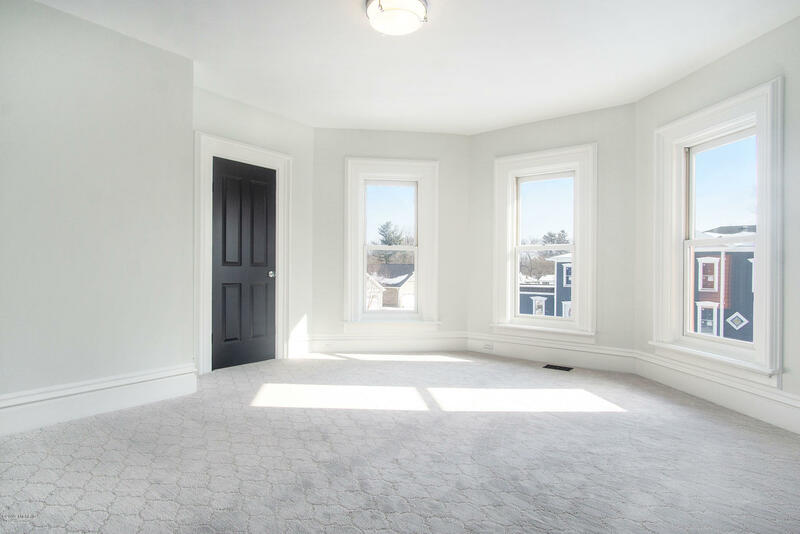 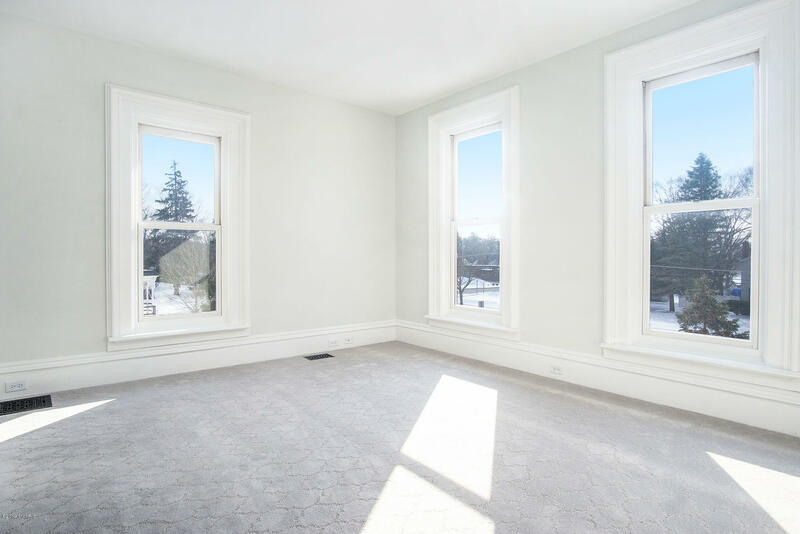 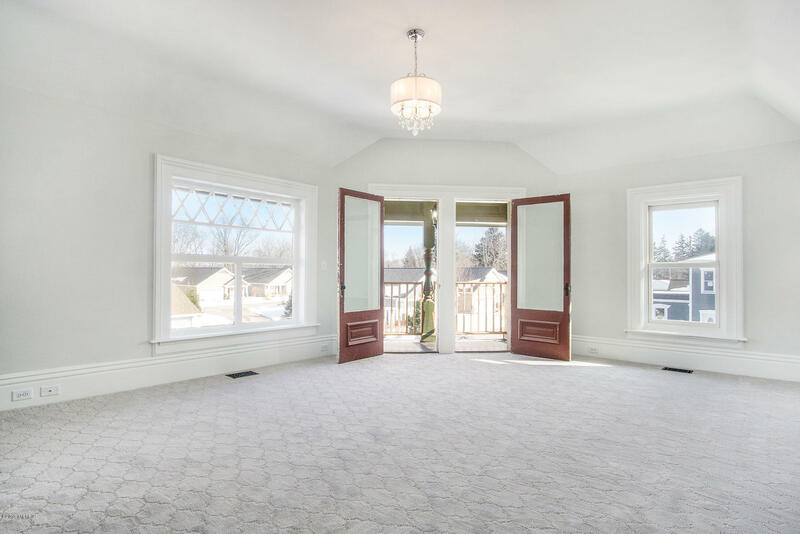 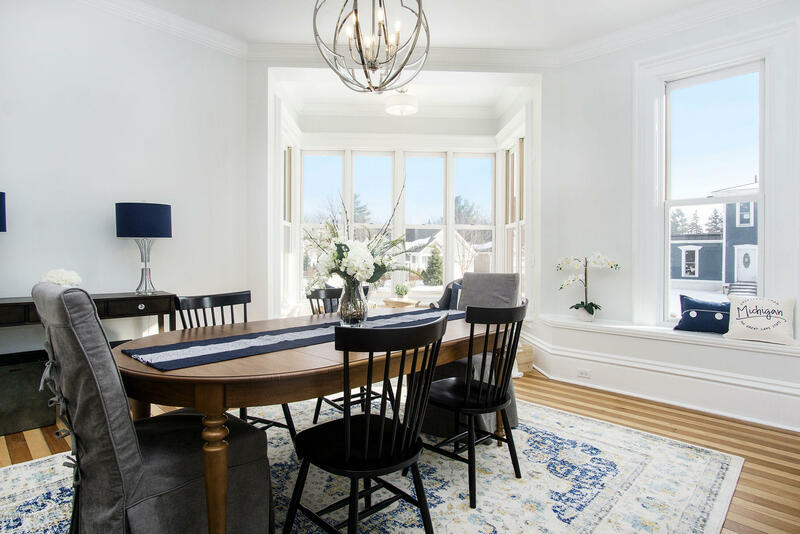 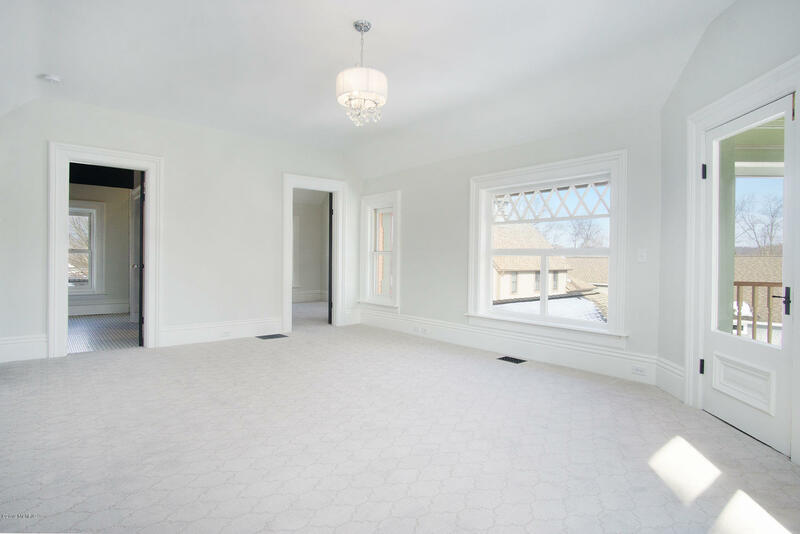 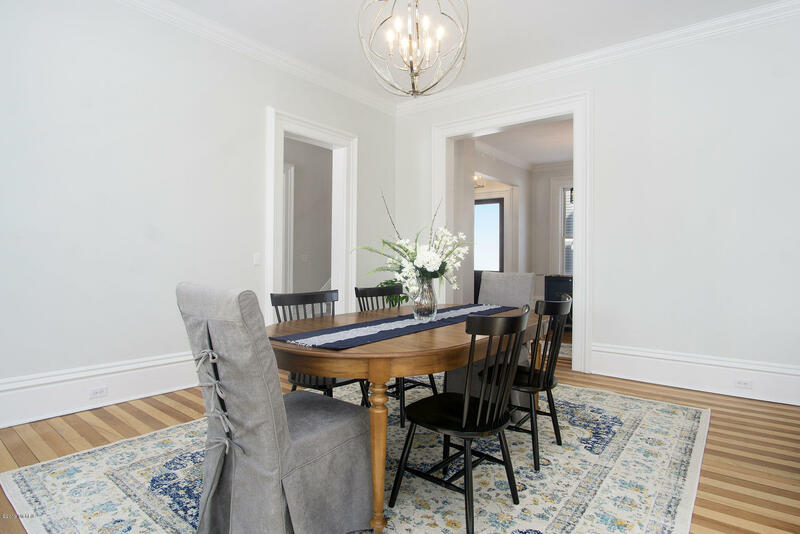 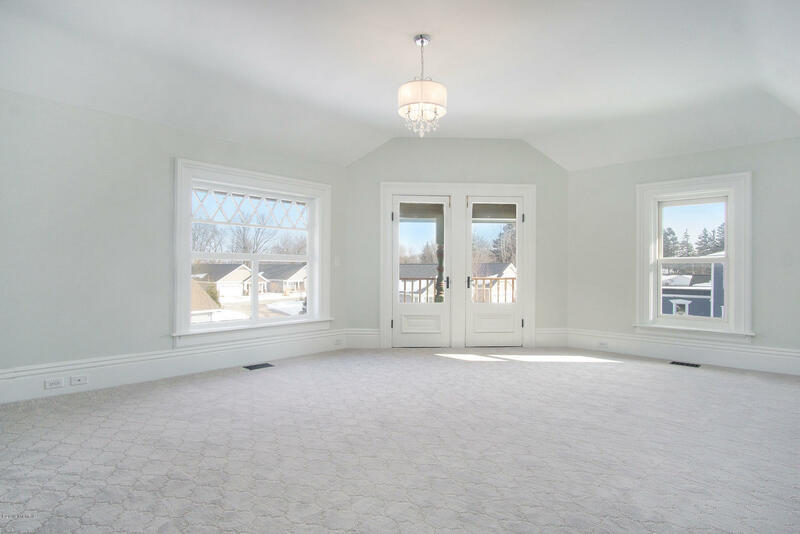 The oversized elegant dining room just adjacent offers a boxed out bay window with floor to ceiling light and original hardwood floors. 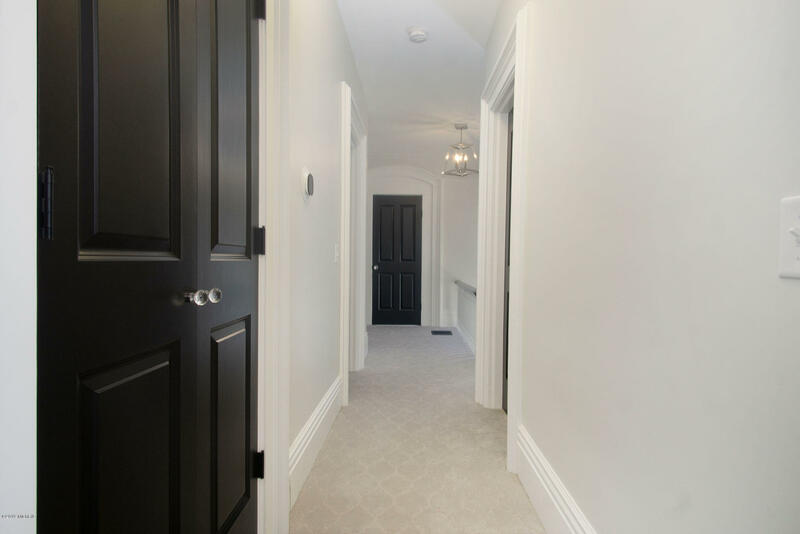 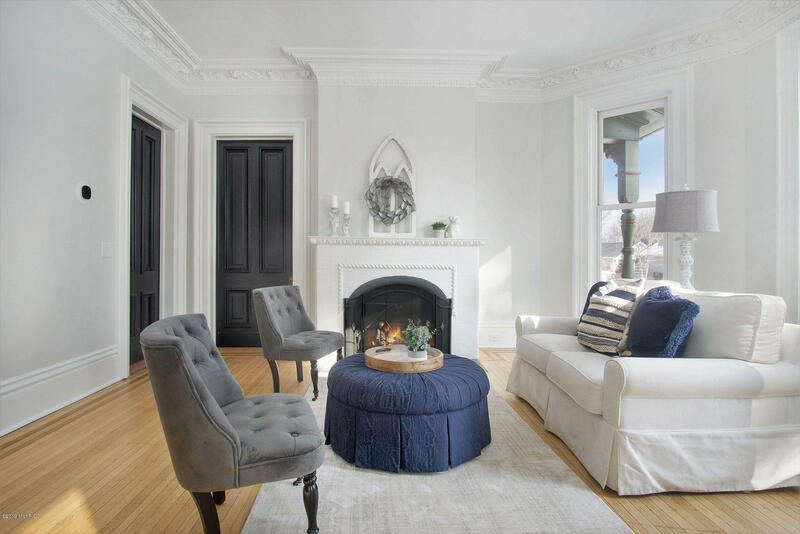 As you walk through to the front of the home you enter a gorgeous living room with the original fireplace with historical detail. 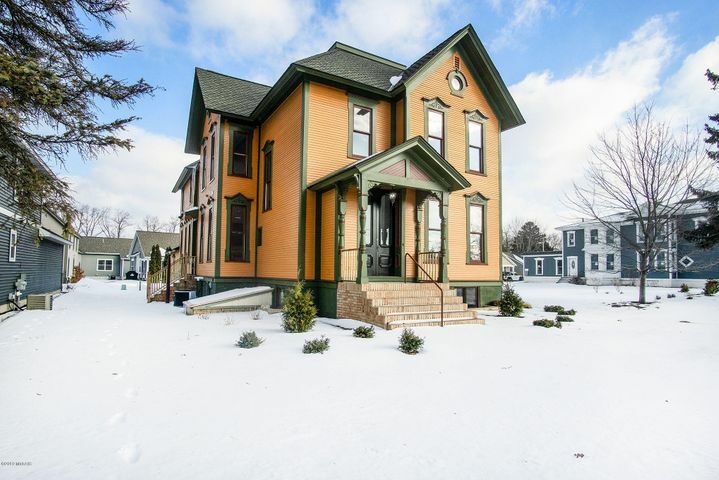 Directions: Savidge (M-104) to Alden St N to Alden Place Victorian Village. 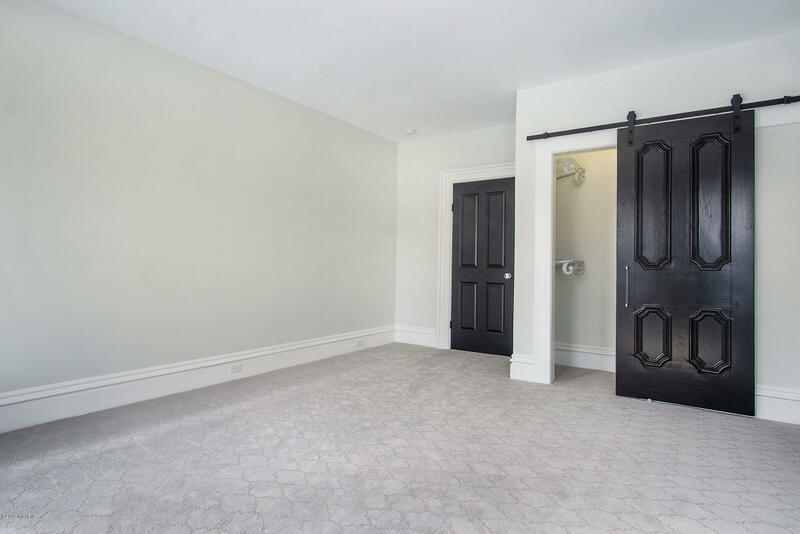 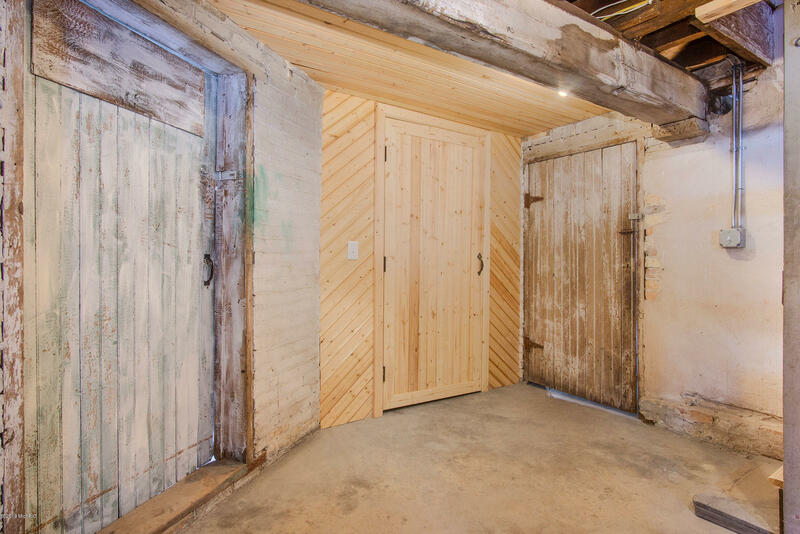 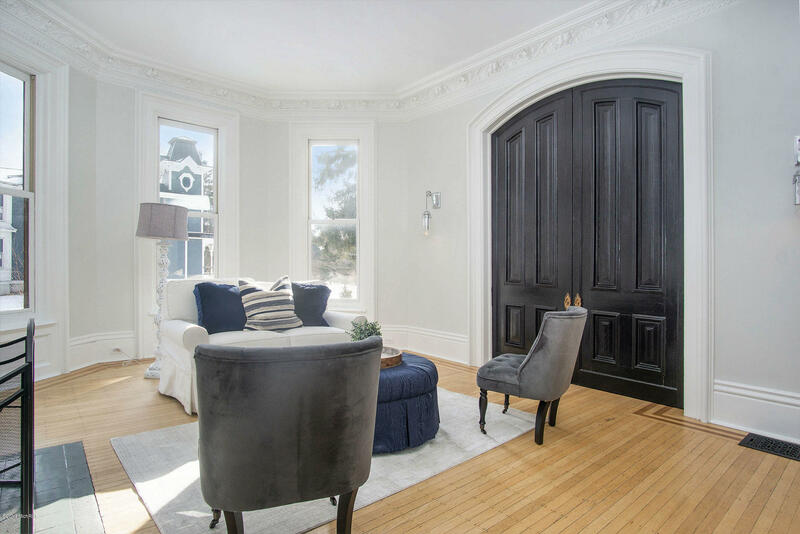 The den, or parlor space offers the original renovated doors with old world detail. 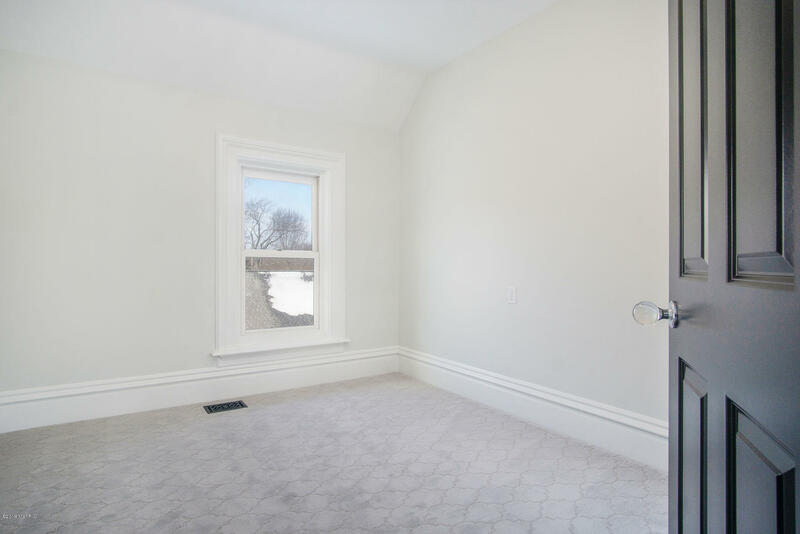 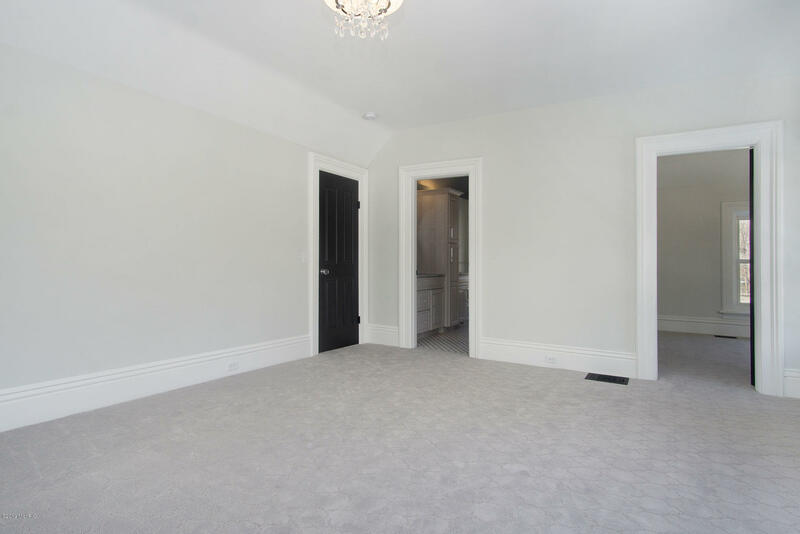 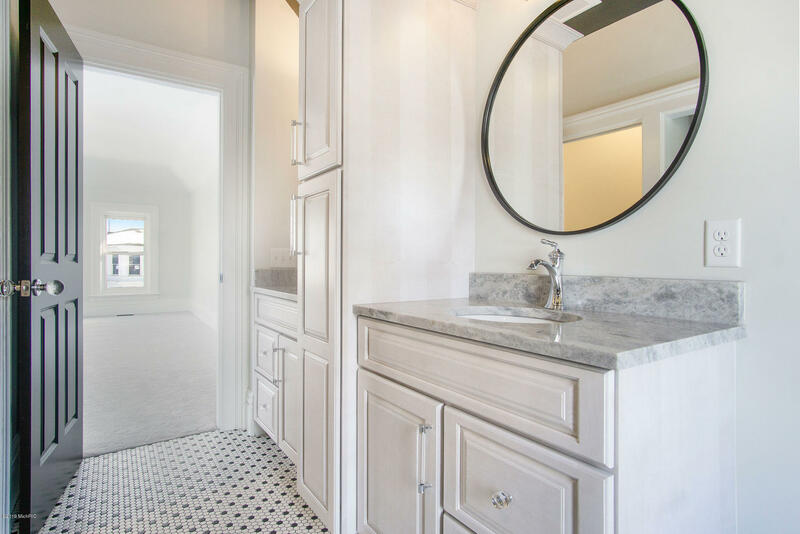 Also on the main floor is a powder bath and a large butlers pantry/laundry space with room for crafting. 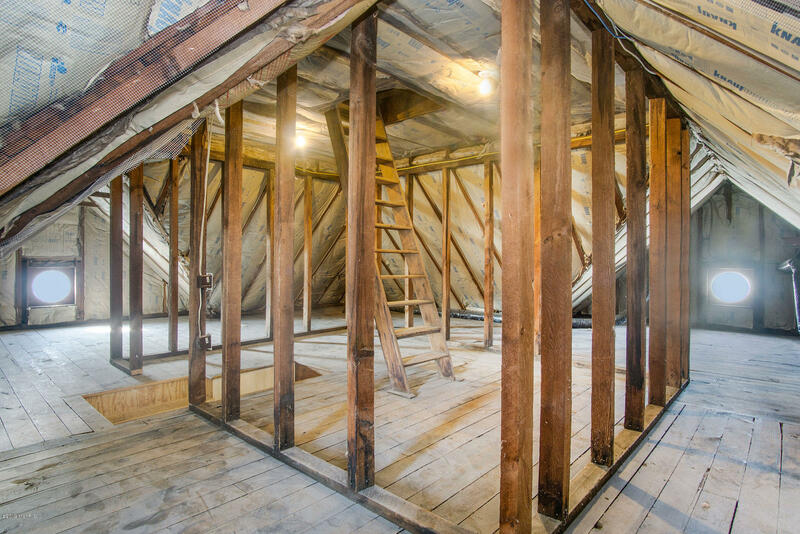 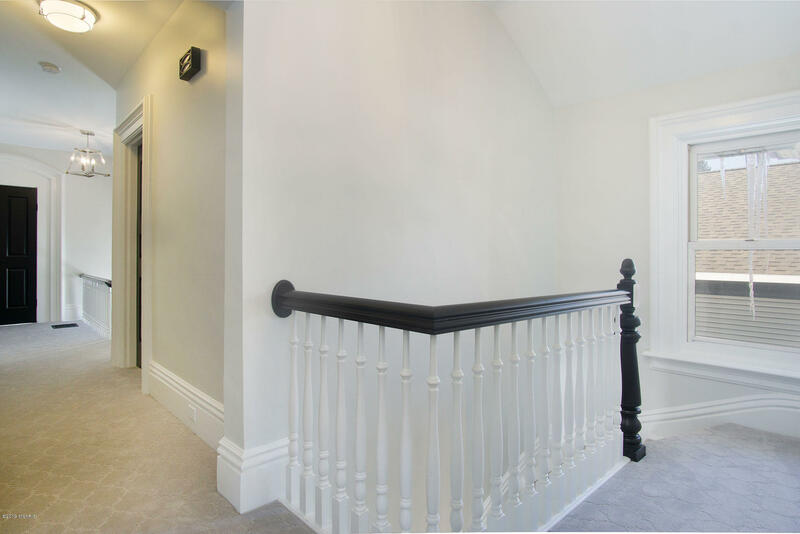 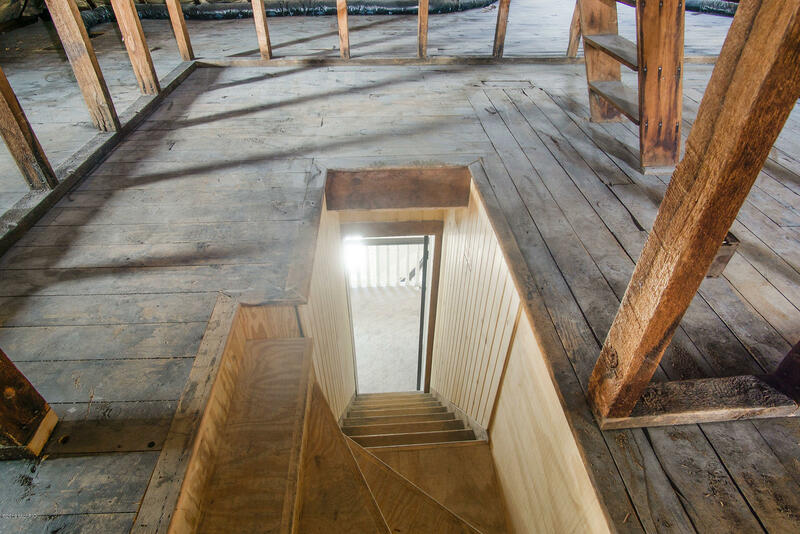 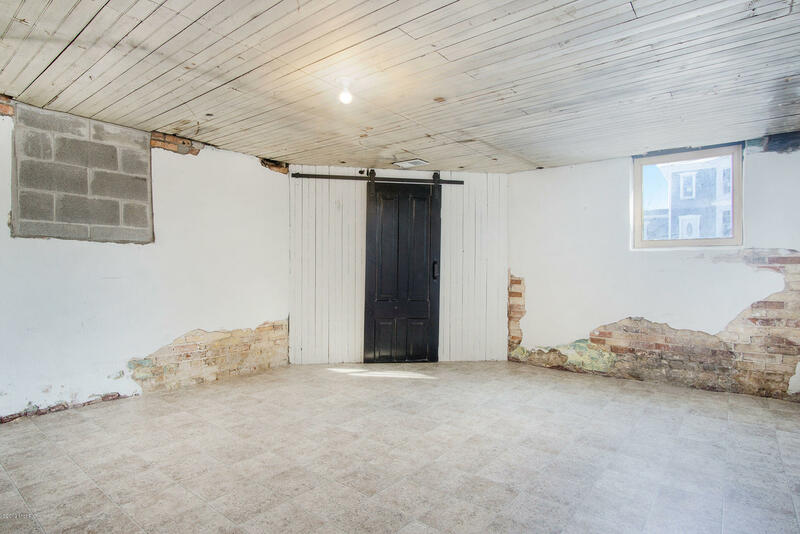 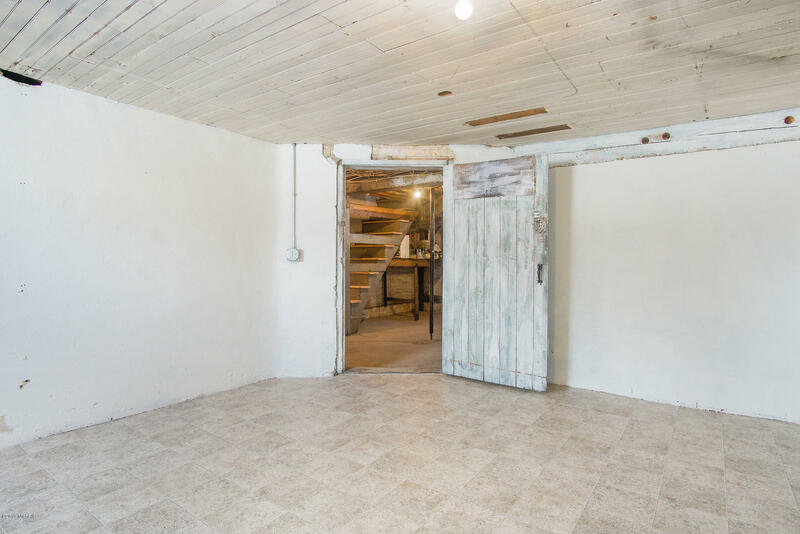 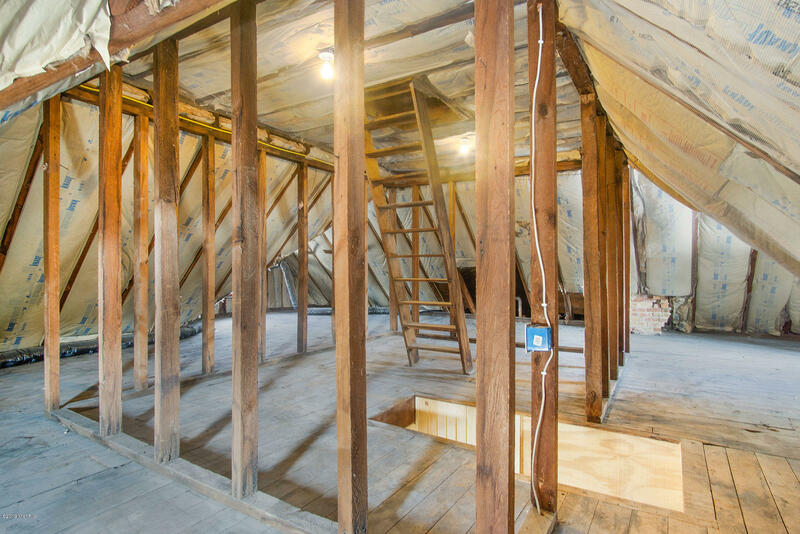 The third story is ready for additional finish should you desire additional space A second staircase brings you back to the main floor and down to the lower level complete with wine seller, workroom, storage space and an additional area that originally served as the servants quarters. 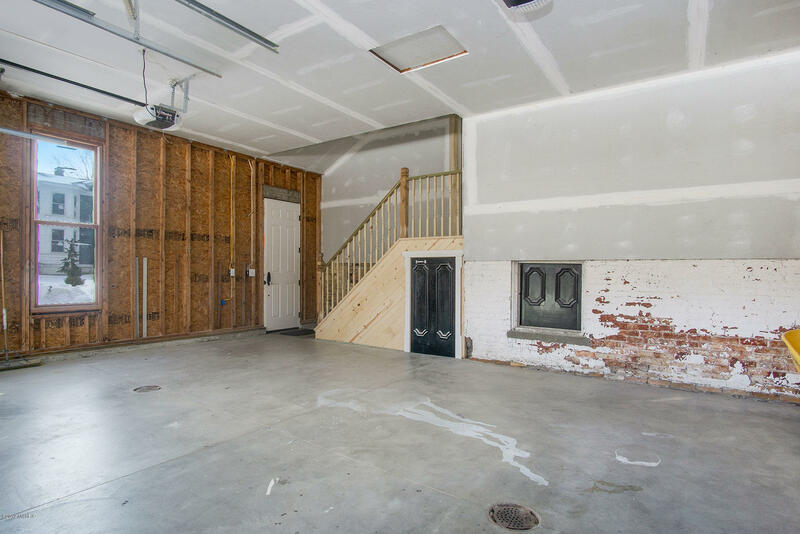 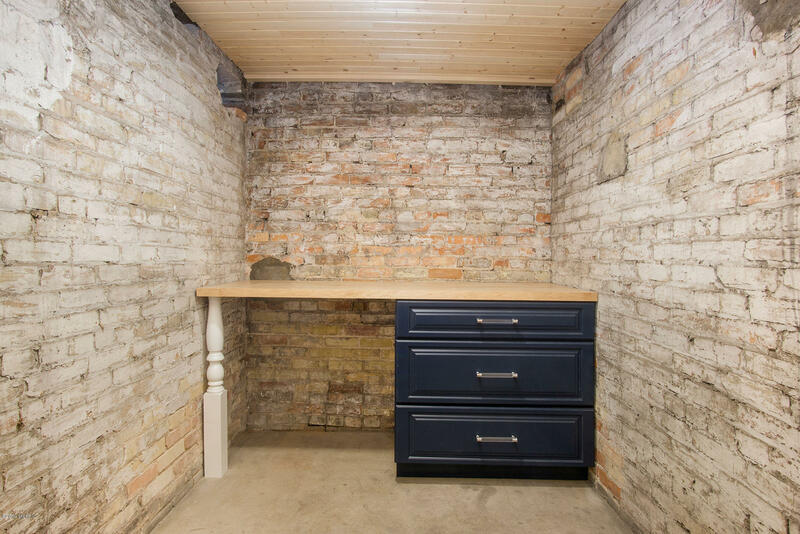 The two stall attached garage offers the convenience of todays living and enters directly into the kitchen space. 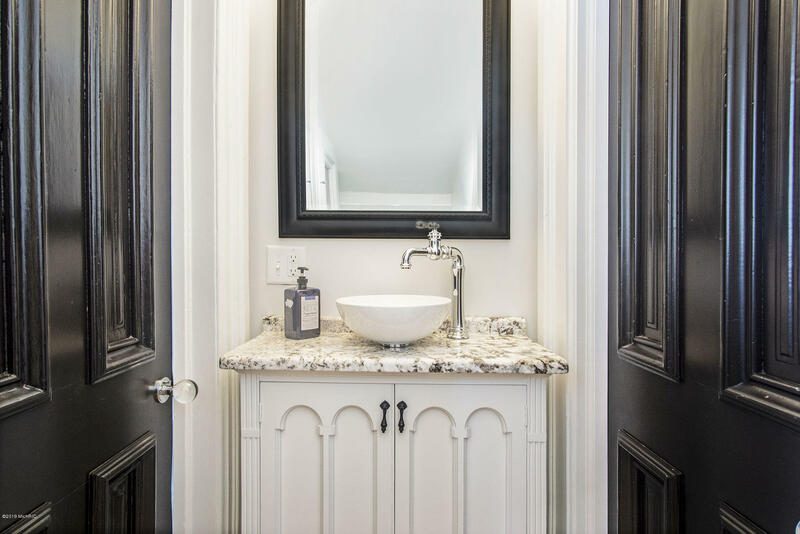 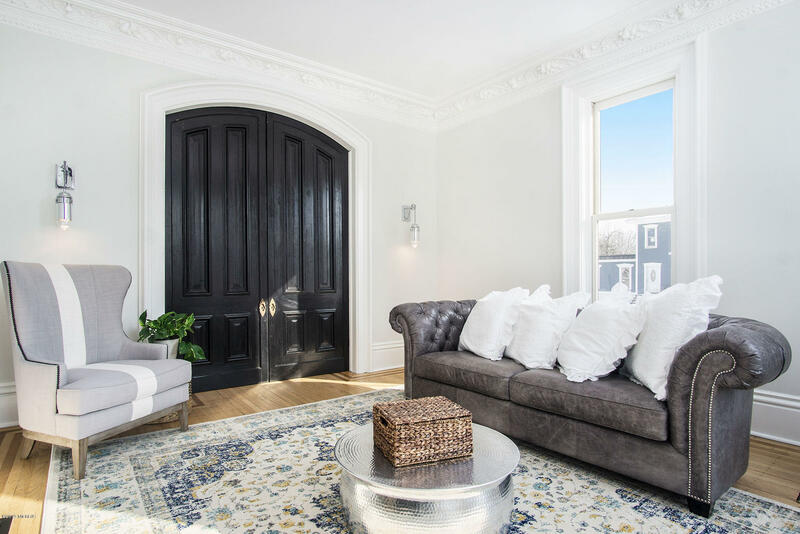 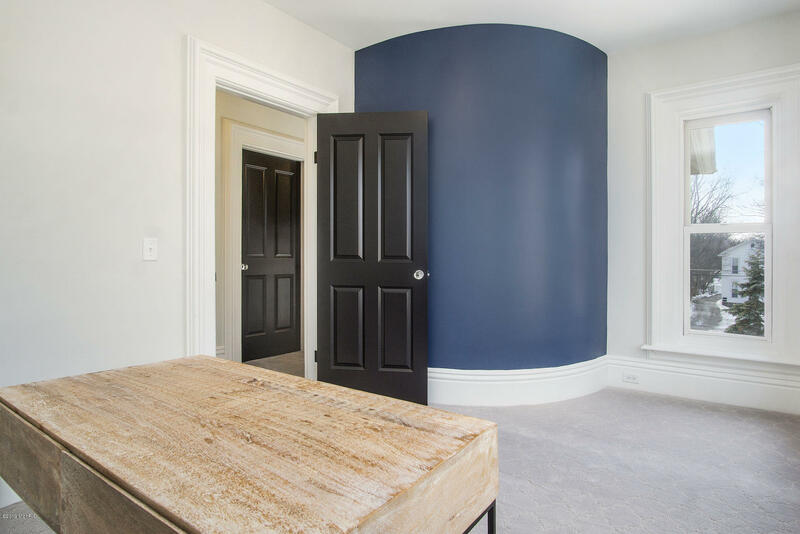 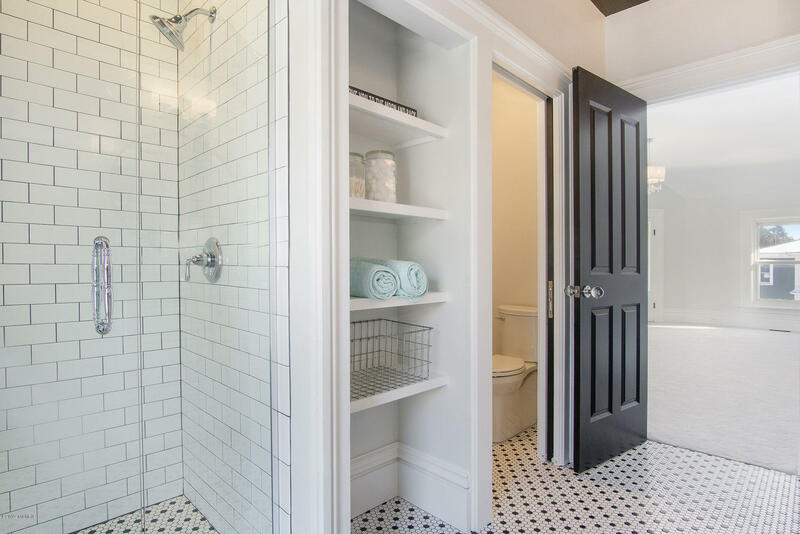 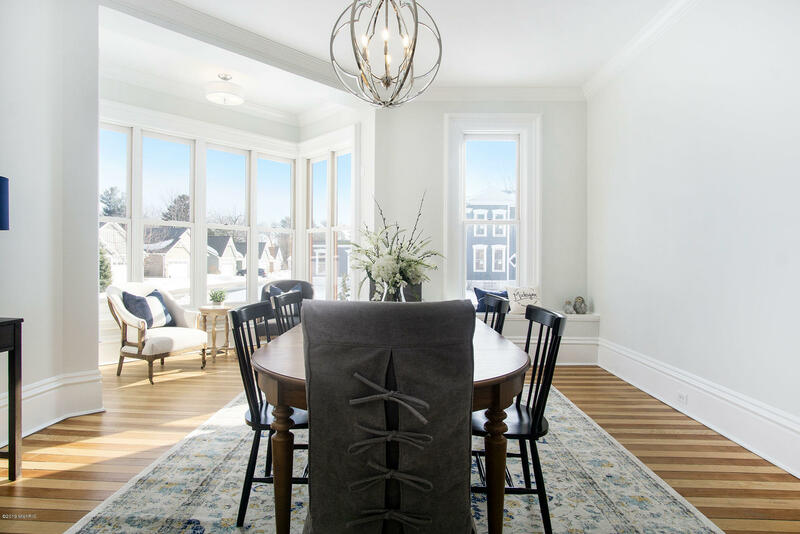 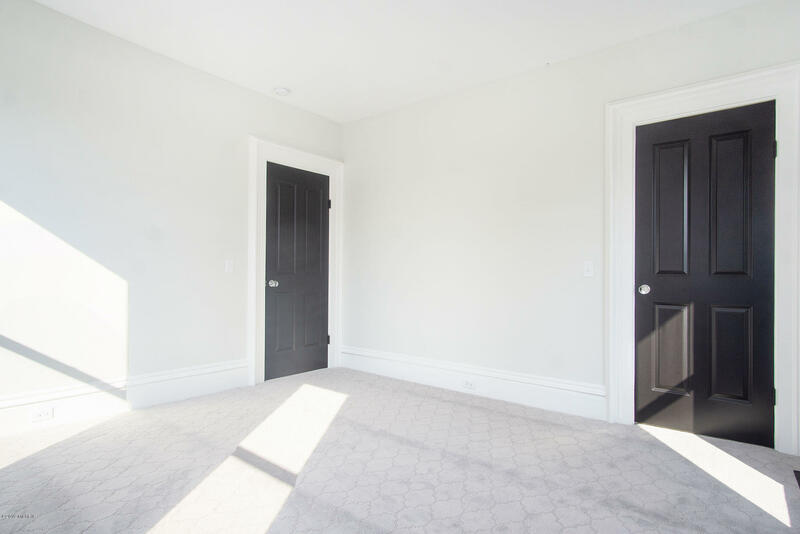 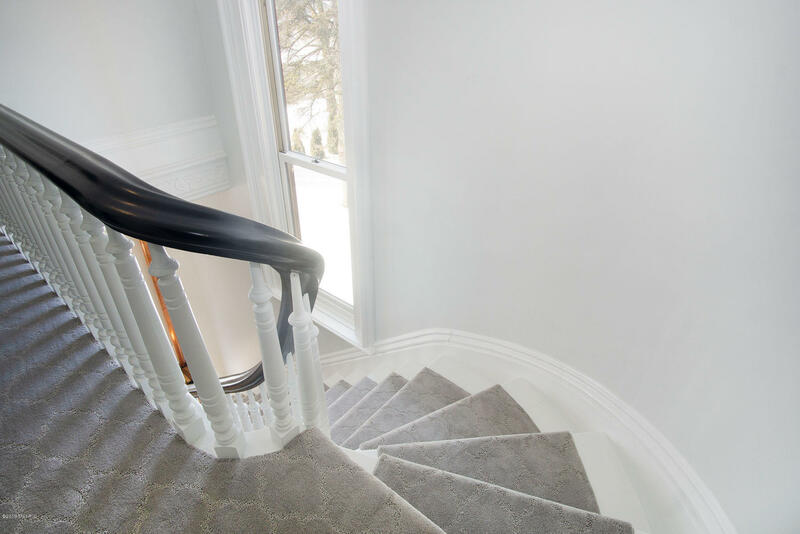 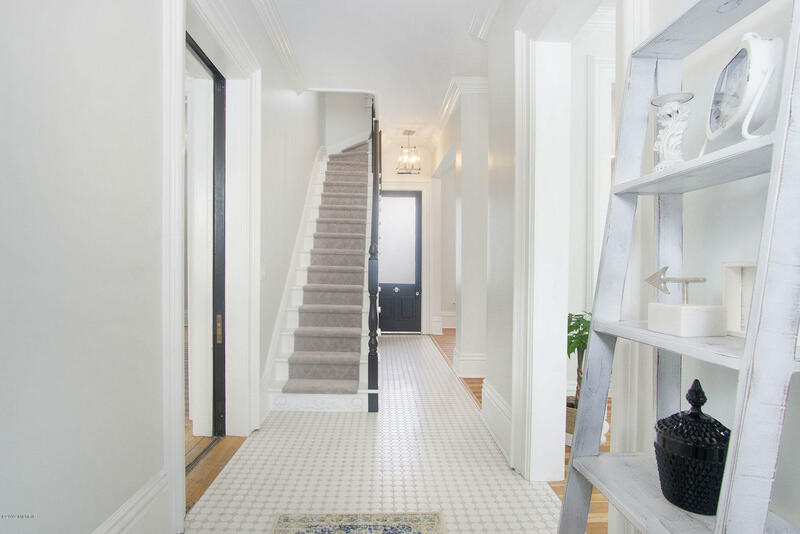 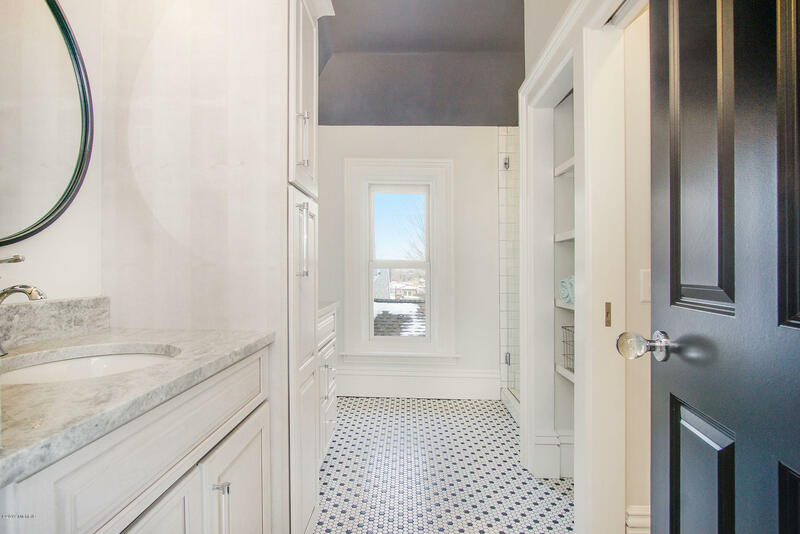 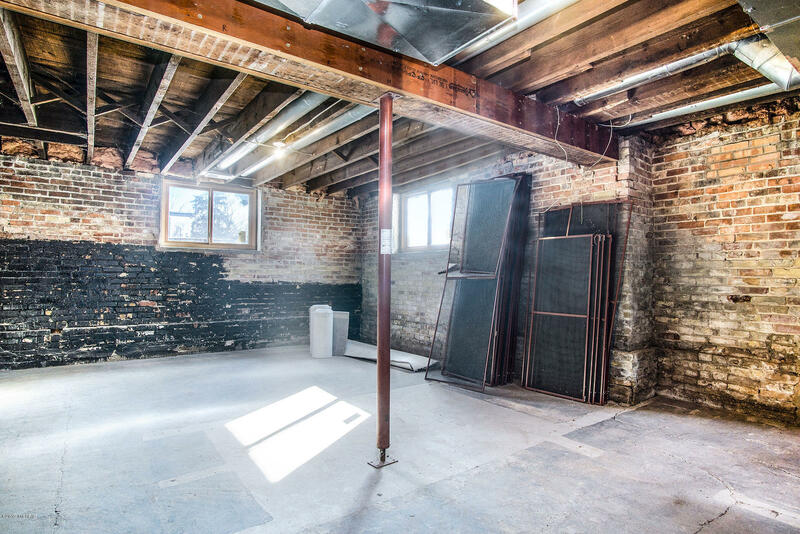 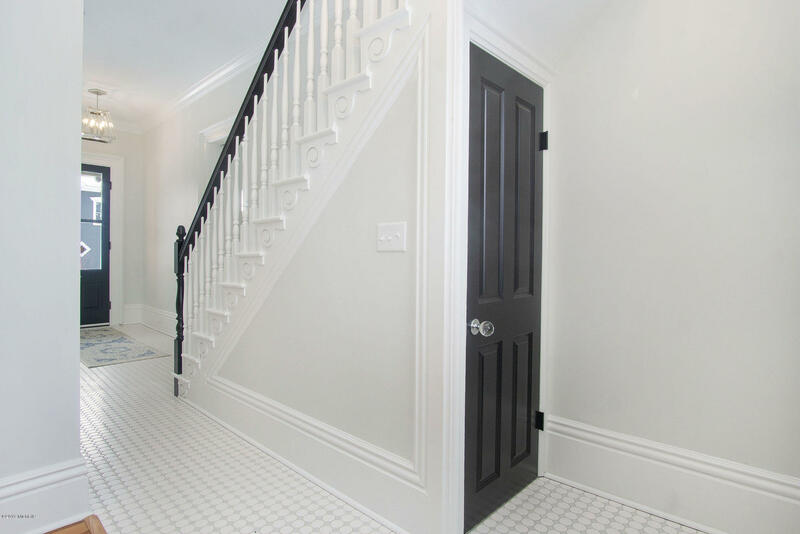 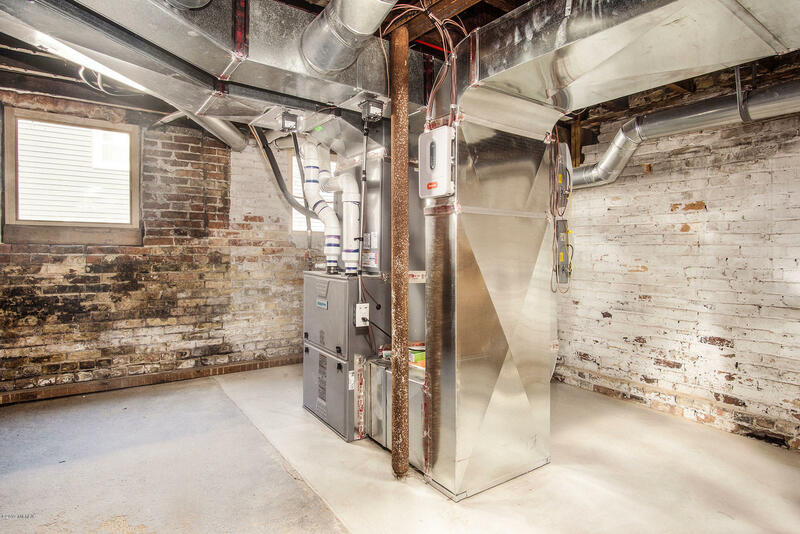 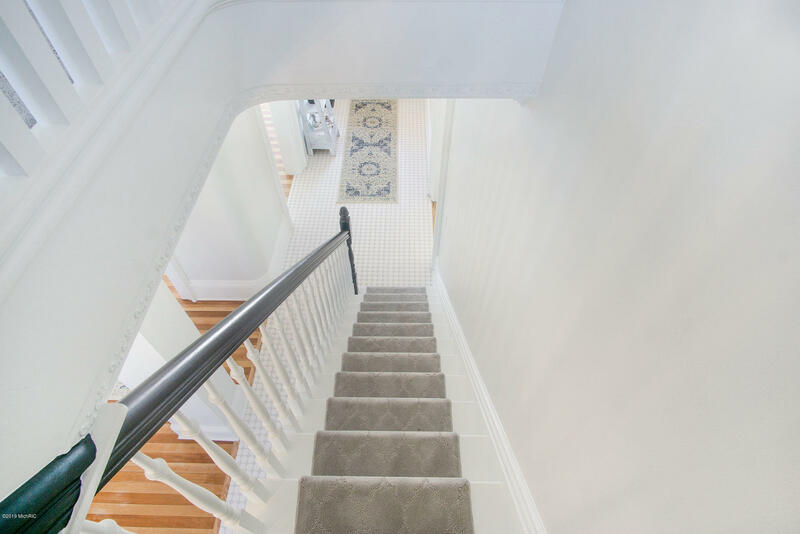 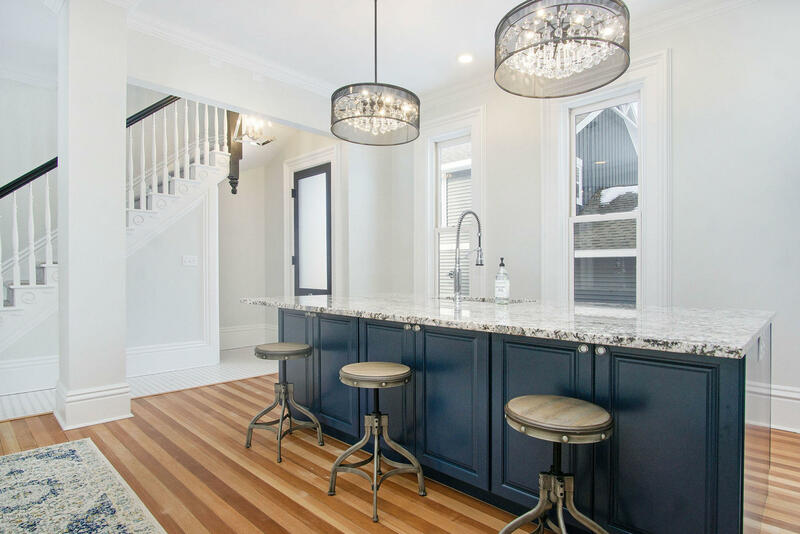 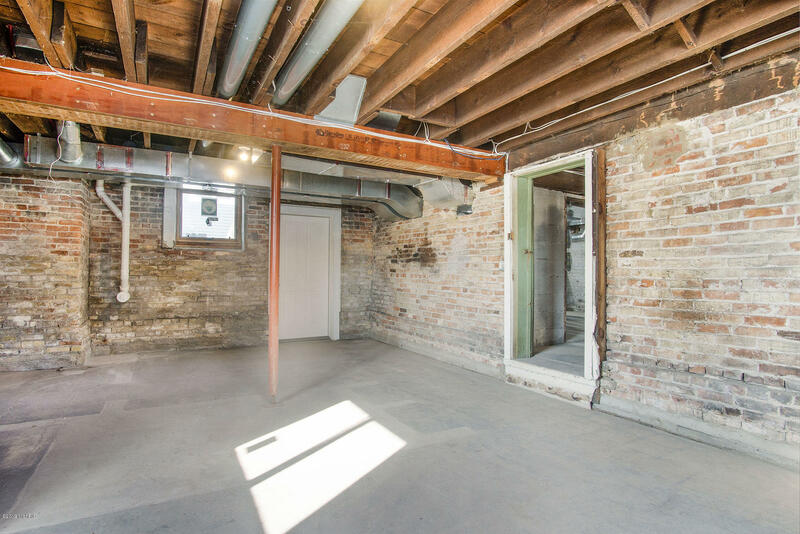 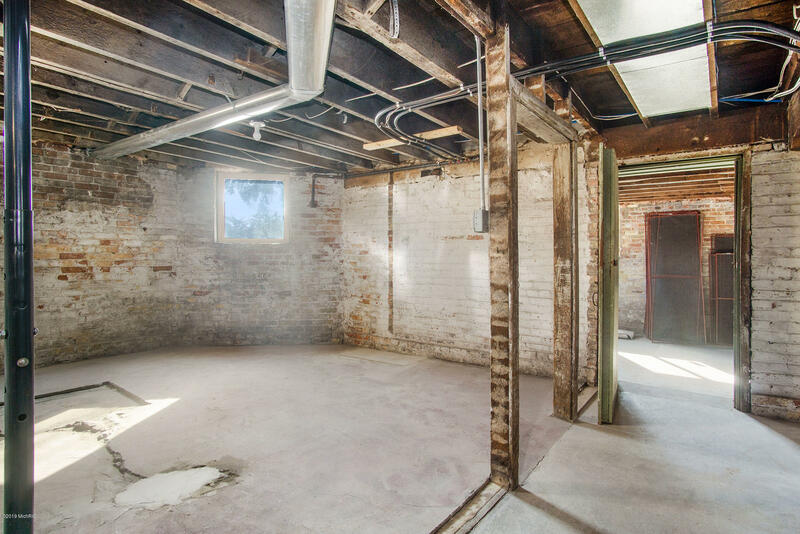 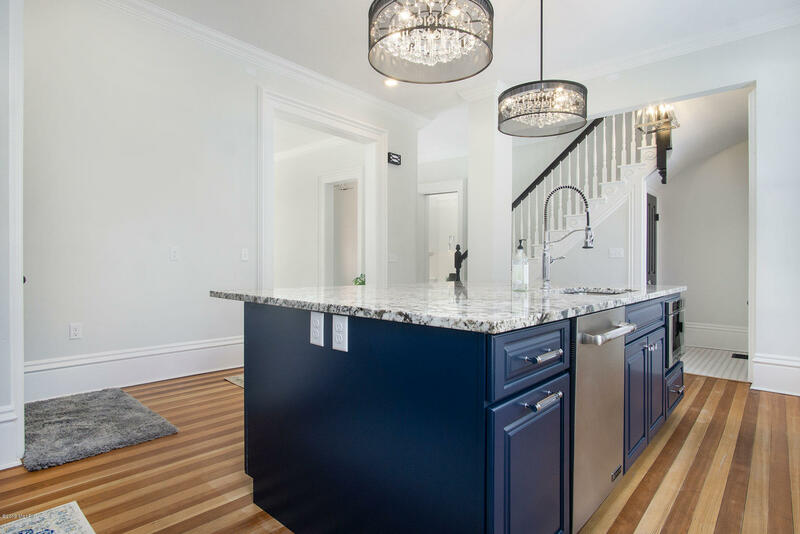 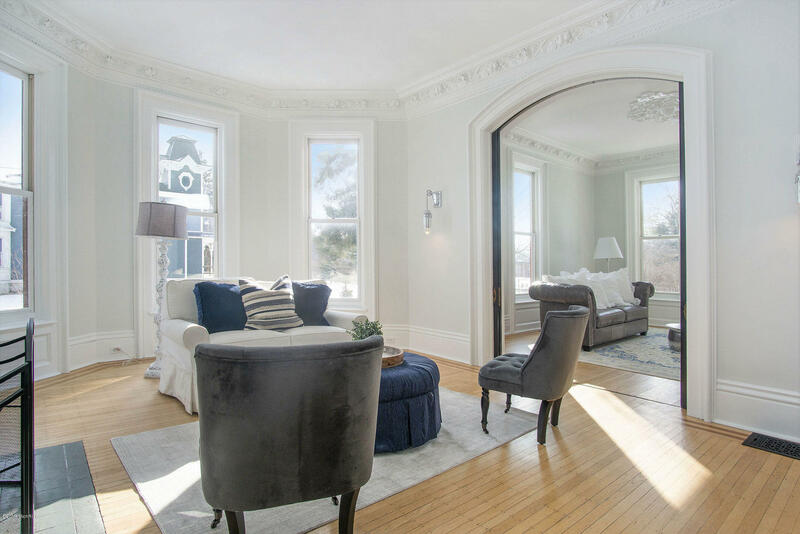 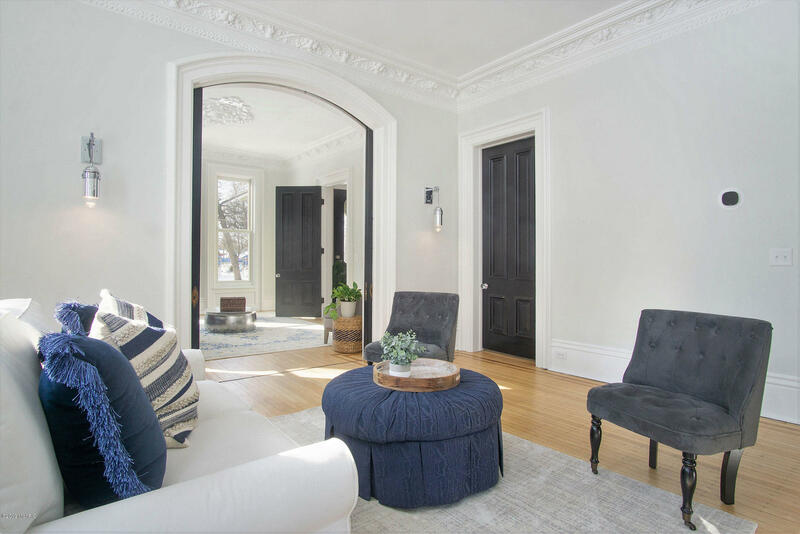 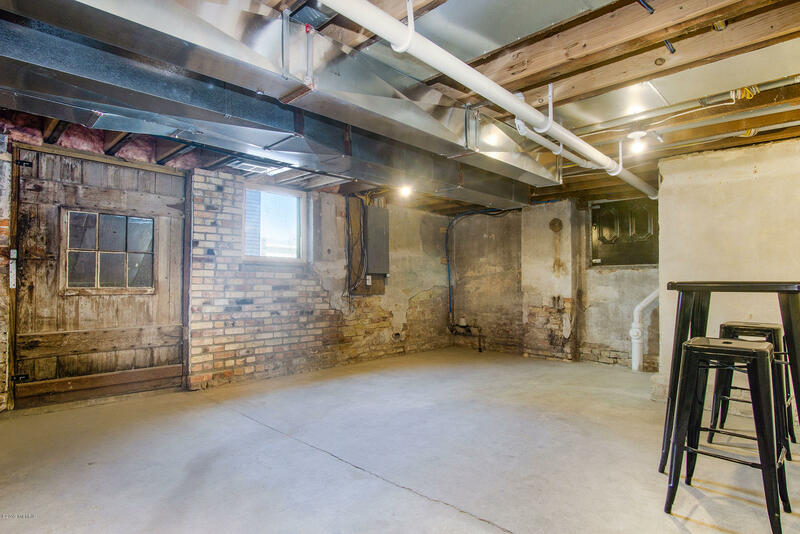 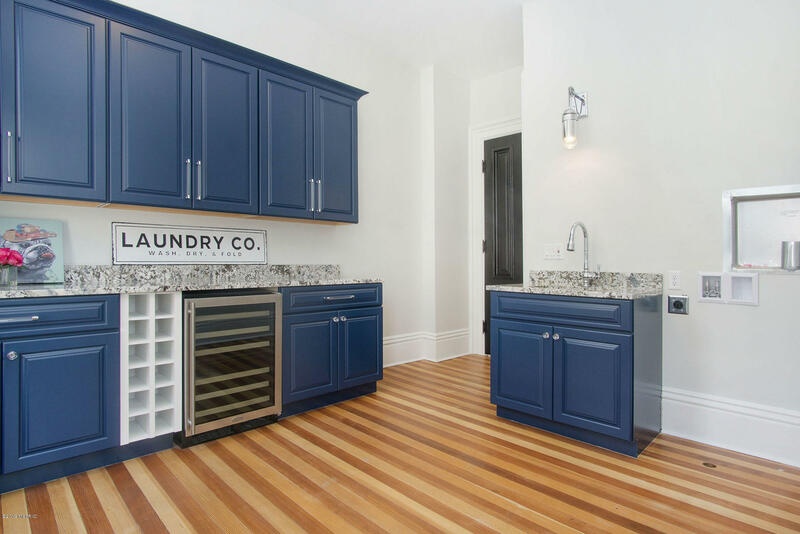 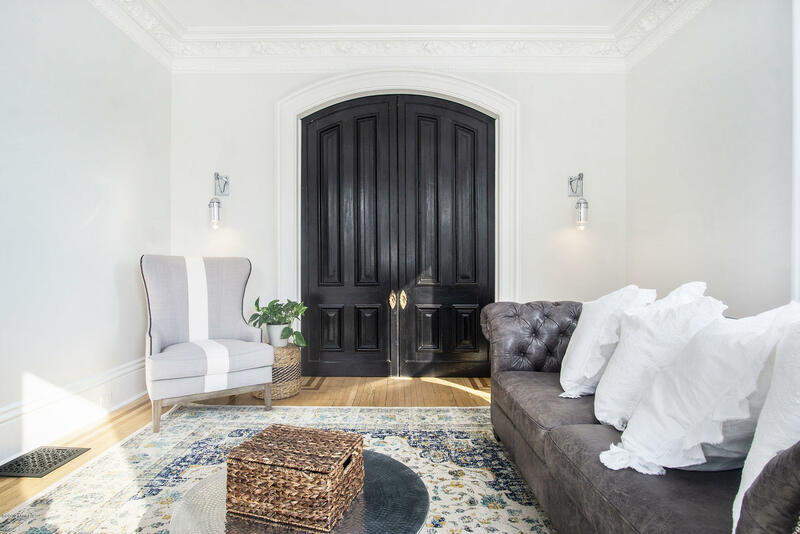 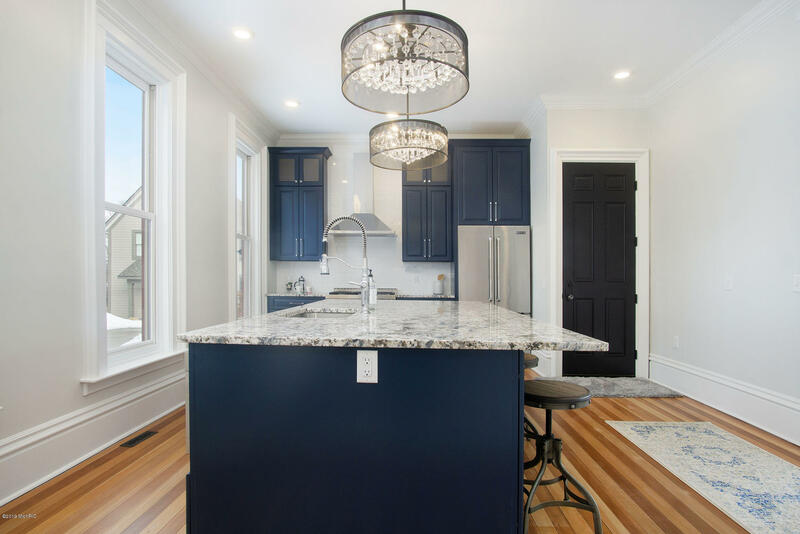 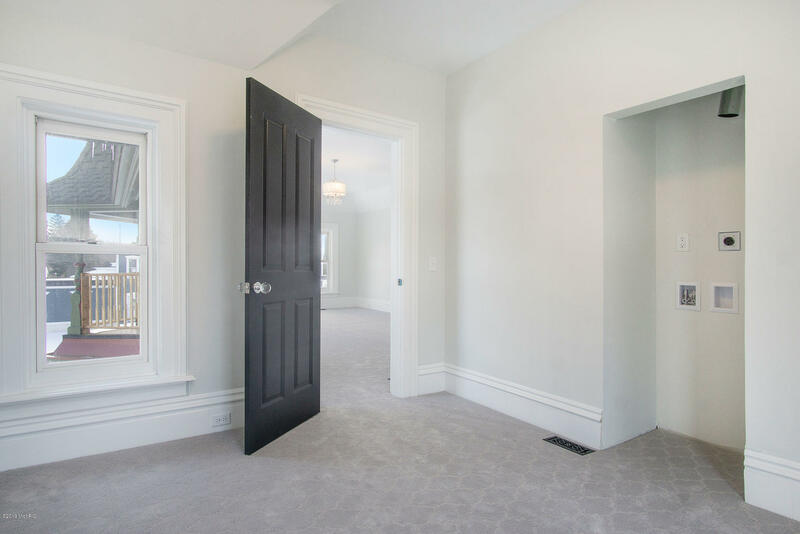 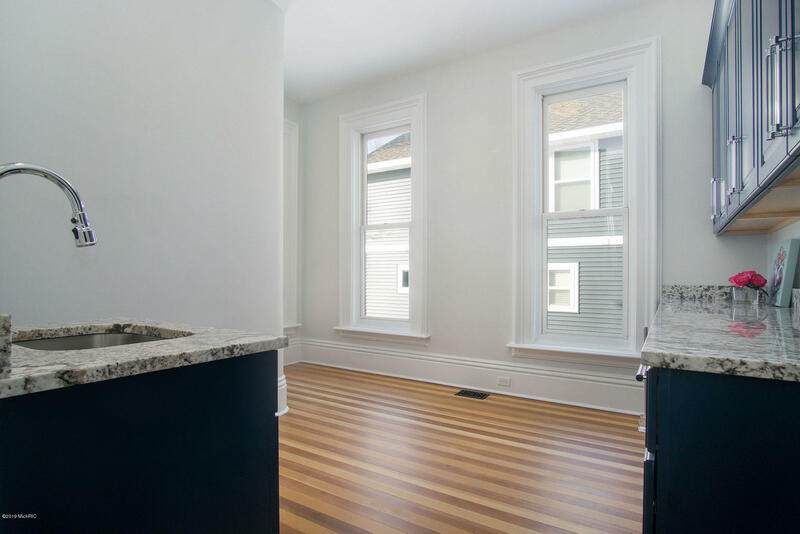 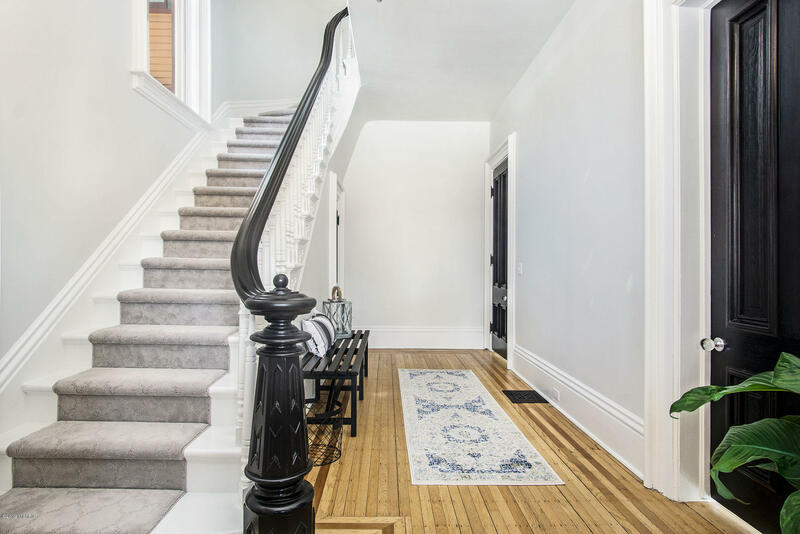 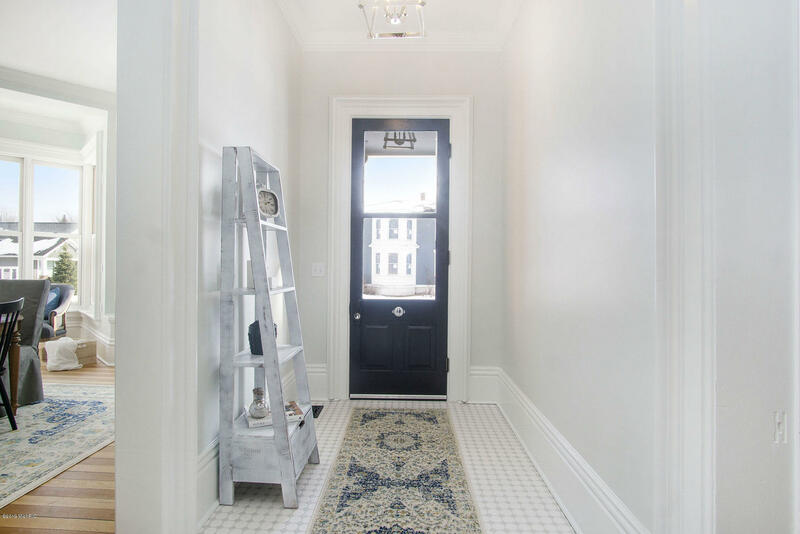 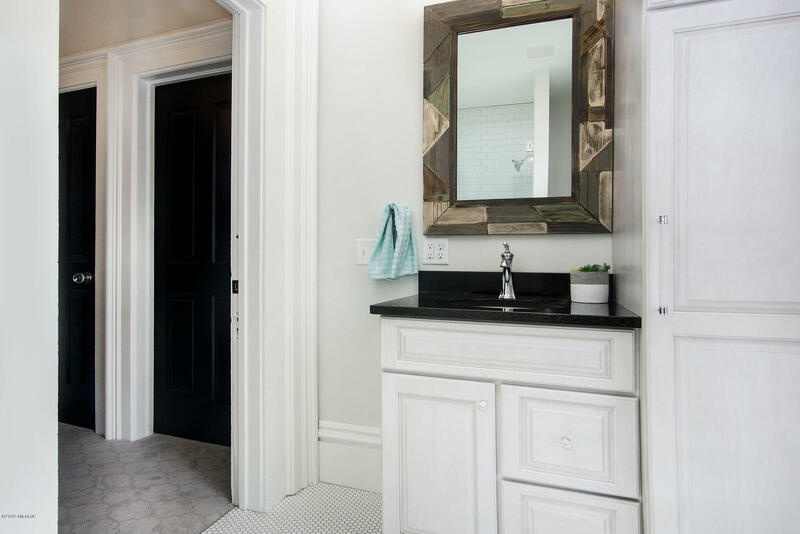 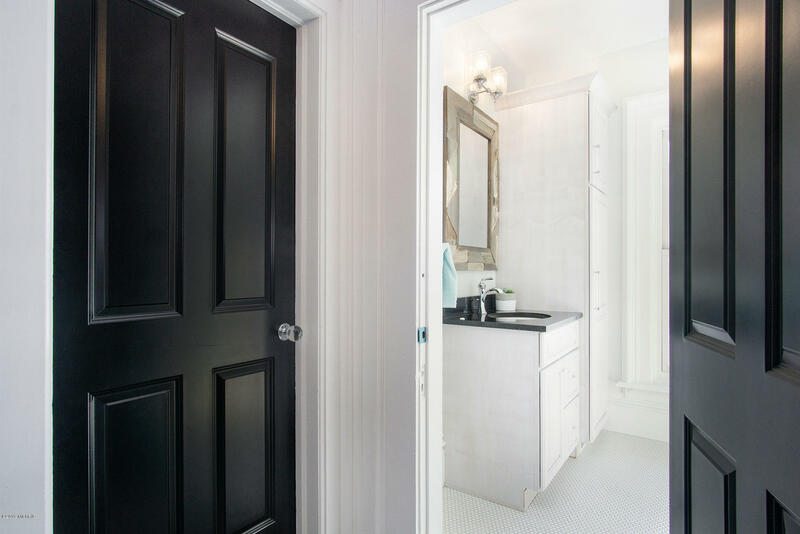 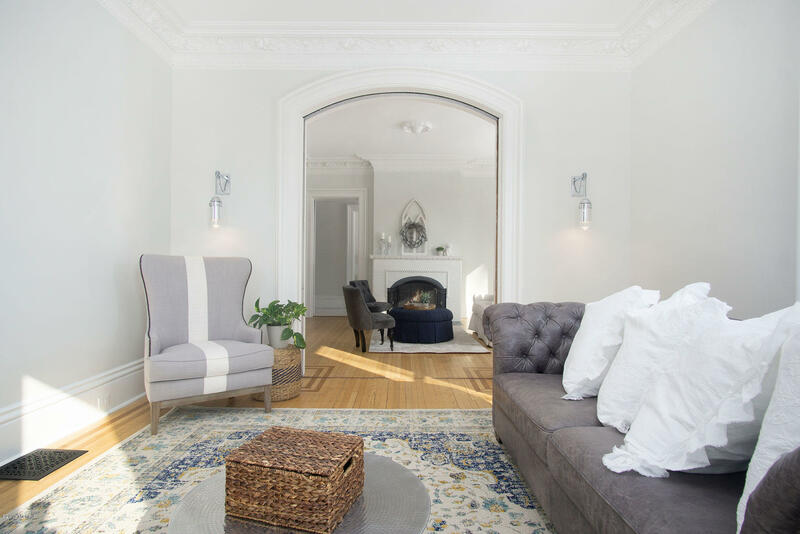 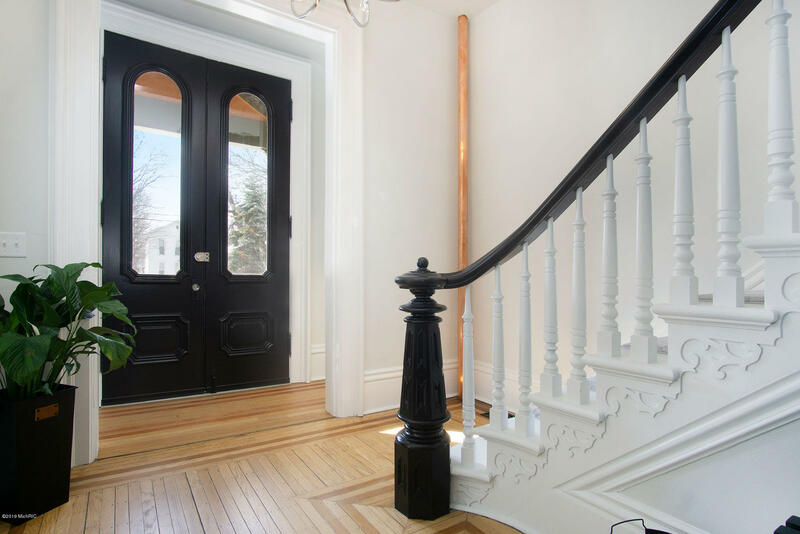 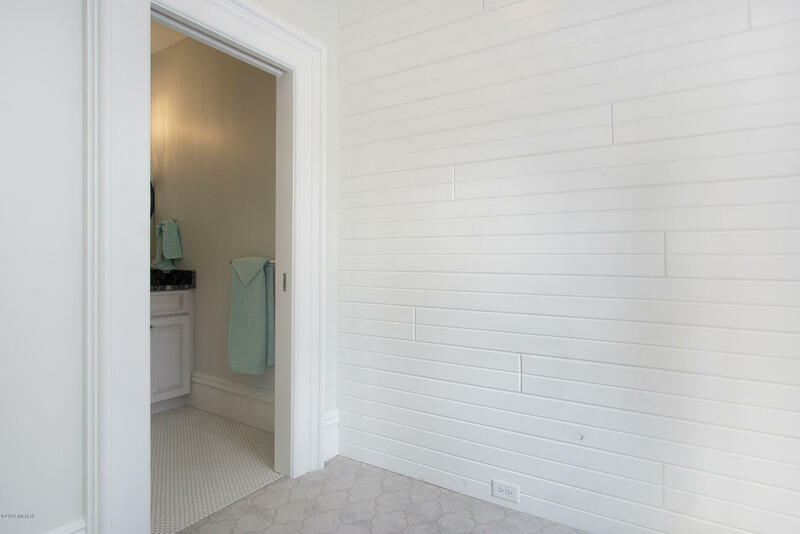 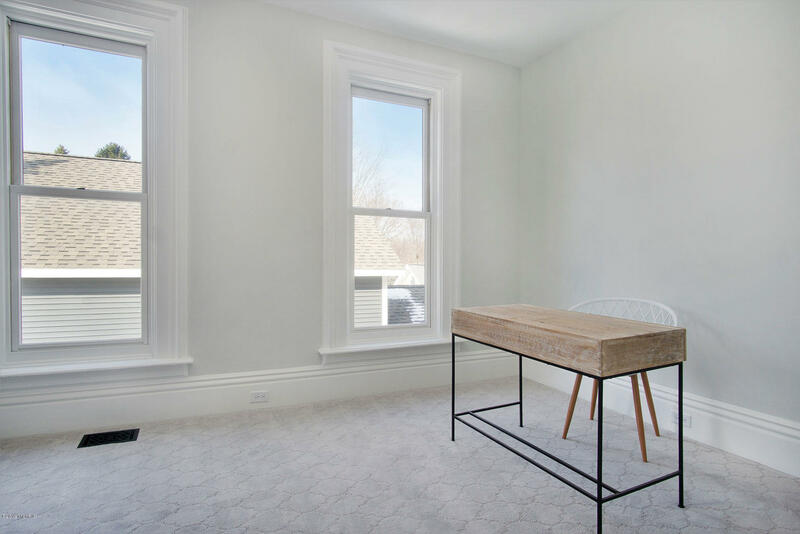 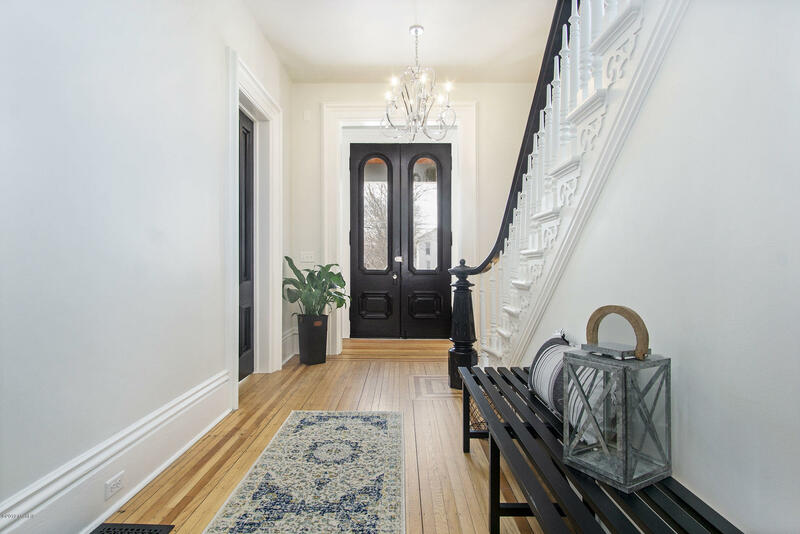 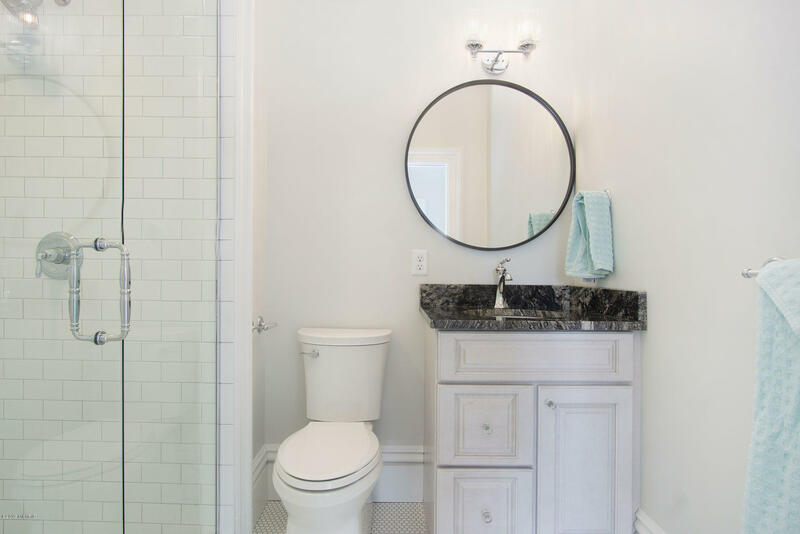 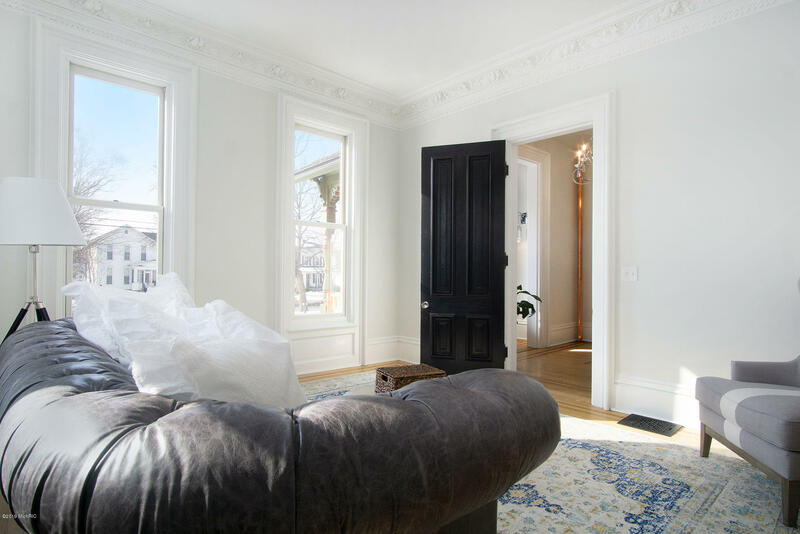 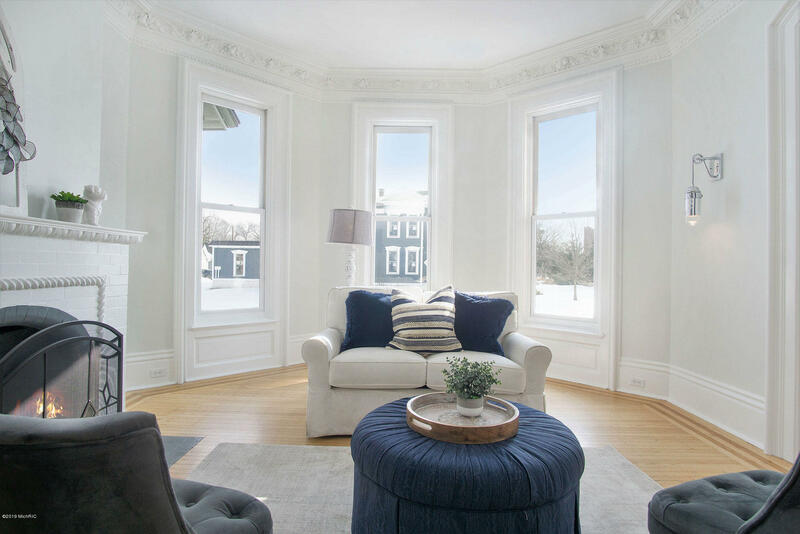 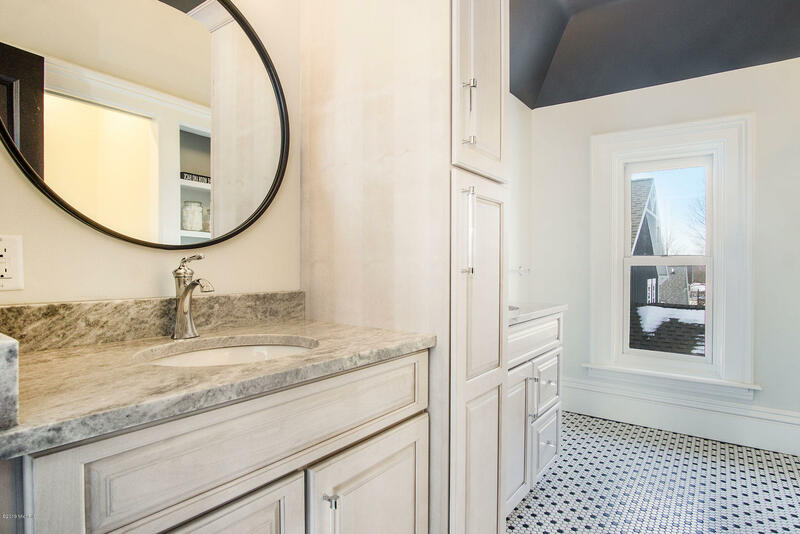 This one of a kind historic preservation project includes all new plumbing, HVAC, insulation and conservancy of all of the properties original woodwork. 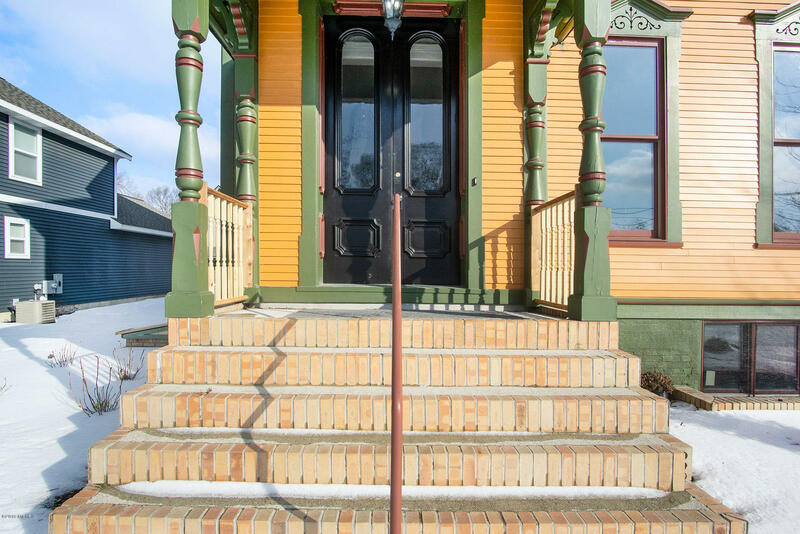 There are too many details to mention in this remarkable home. 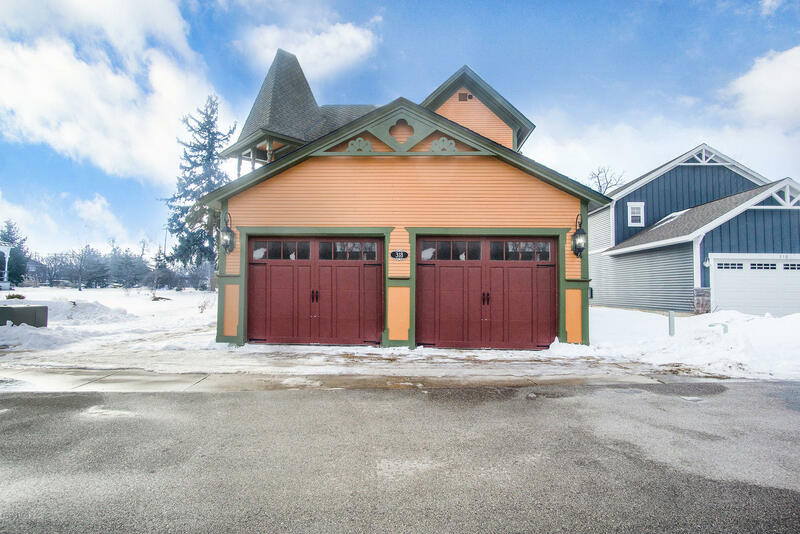 Please call today to schedule your private showing.